Jackie Lee was born Jacqueline Norah Flood in Clontarf, north Dublin, Eire to a musical family living in Seafield Road. Her mother was a talented pianist and her father was a trained baritone singer. Jackie's natural musical ability won her a scholarship at the Municipal School of Music in Dublin where she trained as a soprano for four years. 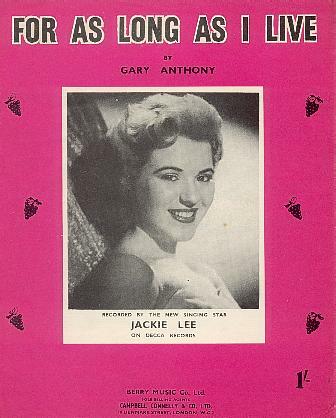 By the age of fourteen, Jackie was performing on Radio Eireann for £1 a show, and two years later joined Billy Watson's dance band at Dublin's famed Clery's Ballroom as featured vocalist. She also sang with Irish bands led by Billy Smith, Pete Cusack, Phil Murtagh and Chick Smith and took to the stage at the Capitol Theatre and Theatre Royal in the city. With her heart set on becoming a full-time professional singer, Jackie relocated to London in the early 1950s living in the West End, conveniently close to the then thriving Tin Pan Alley. 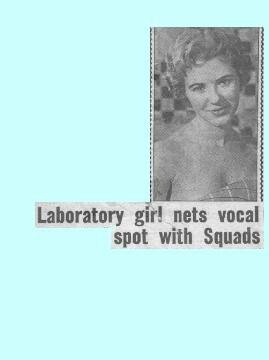 She worked as a hospital laboratory technician until her lucky break came with an extended audition for Ronnie Aldrich's Squadronaires to replace the female lead, Margaret Bond. Ronnie said at the time "I heard dozens of girls...but one song from each was enough. I was so fascinated by Jackie that I listened to her for two hours." 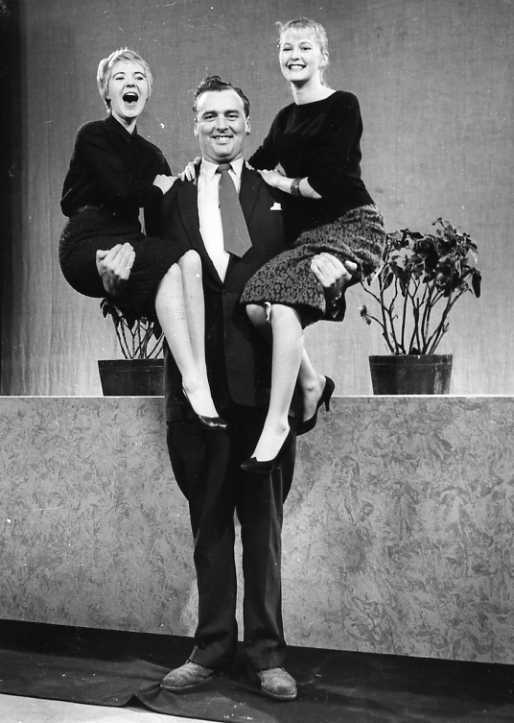 It was Ronnie who gave Miss Flood the stage name by which she would subsequently be known - Jackie Lee. The Squadronaires were hugely popular in Britain during the pre-rock'n'roll era, and made hundreds of recordings for BBC radio covering jazz standards and hit pop tunes of the day. Jackie left the Squads, to be replaced by Joan Baxter, in April 1955 and made her recording debut for Decca with the Aldrich-arranged I was wrong backed with For as long as I live, two wistful ballads executed with fearsome professionalism for one so young. 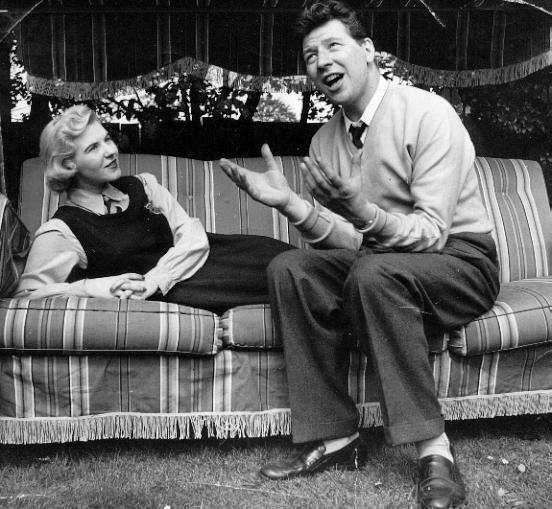 On Sunday 26th May 1956, Jackie appeared as a solo singer on ATV's 'Sunday Night at the London Palladium' with Max Bygraves, whom she had previously met on a BBC radio programme. Jackie gained further experience performing in Cyprus, Tripoli and Germany for the British Forces, along with Ronnie Hilton. By this time Jackie had met a gentleman in a Tin Pan Alley office who was to have a decisive influence on much of her career, and also her personal life. 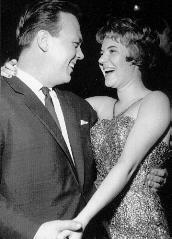 Len Beadle became not only Jackie's manager, but also her husband. Towards the end of the decade, under Len's guidance, Jackie moved away from dancebands to concentrate on building a recording career. 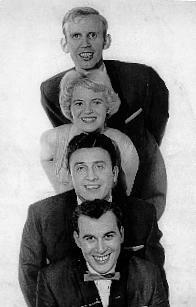 In 1959, Len Beadle assembled a vocal quartet comprising himself, Jackie, Vince Hill and Johnny Worth. 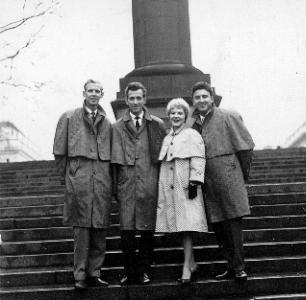 Modelled on American vocal groups such as the Modernaires and Skyliners, Len named this group The Raindrops. The Raindrops proved very popular with BBC radio audiences, performing their interpretations of American hits on Parade of the Pops each Wednesday evening. The quartet also appeared regularly on BBC television's Drumbeat with the John Barry Seven and 6-5 Special. 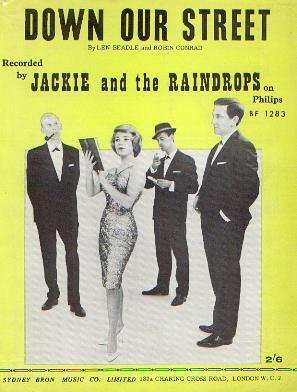 The Raindrops recorded their debut single Along came Jones for Parlophone (EMI) and developed their close harmony sound through a series of 45s for Oriole which included UK versions of the American Billboard hits Will you love me tomorrow (originally by the Shirelles), A letter from Anne (the Videls), Party lights (Claudine Clark), and The locomotion (Little Eva). The distinctive character of Jackie's voice developed with each successive release. Johnny Worth left the Raindrops to write hits for Adam Faith with John Barry. Vince Hill also went on to a successful solo career. Their replacements were Brian Adams from Dewsbury, Yorkshire and John Putnam, formerly with the King Pins, whom they had encountered on the set of Drumbeat. Jackie's extra-curricular activity during this period included the exotic voicing of Fyffita the Banana in a Fyffes advertising campaign for British TV. During a recording for children's TV in 1962, the Raindrops encountered a new group who were shortly to change the face of popular music - the Beatles. At this stage of their career, the Beatles' set still comprised largely of cover versions, and Jackie recalls George Harrison telling her that they had one of her records, There's no-one in the whole wide world, which they performed in concert. 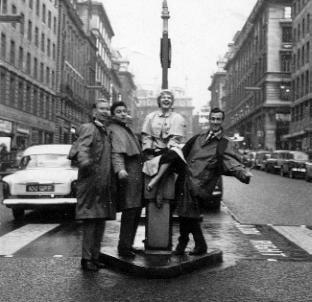 The second line-up of the Raindrops was immortalised on celluloid in the 1964 pop feature 'Just For You', in which they appeared miming to their recording of The loco-motion. Two years later this musical extravaganza was re-structured and retitled by one Vince Scarza for the American market as 'Disk-o-tek Holiday'. The film clip was also used on Italian-made Scopitone video jukeboxes. Len Beadle and Bob Conrad (aka Peter Callander) were responsible for the final two Jackie & The Raindrops singles which were issued by Philips - Down our street (1963) and Come on dream, come on (1964). Jackie's prominent vocals on these songs exhibit many of the appealing qualities which characterise her later and better known work, with the ability to make the most of even the most lightweight material. 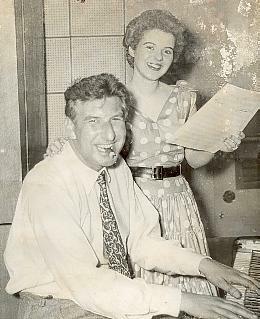 Towards the end of the Raindrops era, Jackie flew to Frankfurt with her mother to record two songs with German arranger Fred Berlipp. 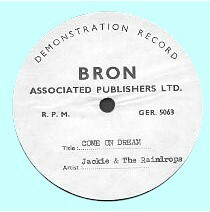 The resultant single was issued by Ariola and remains one of Jackie's most elusive recordings. Jackie mostly enjoyed the experience, although a misunderstanding with her taxi driver almost saw her and her mother deposited at an American air base rather than Frankfurt airport. 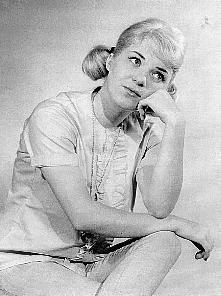 Although Party lights and The end of the world had been issued as solo Jackie Lee singles in 1962, the Raindrops finally dried up in 1964 with Jackie focusing on a career as a solo vocalist. Jackie's solo career proper began in early 1965 with the little-known Bacharach-David song I cry alone. 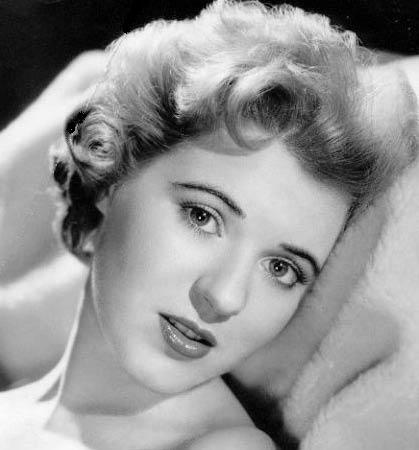 The single for Decca was backed with an uptempo beat song, 'Cause I love him, similar in style to her then labelmate Lulu's early work. There followed four superb singles for EMI Columbia. The subdued Lonely clown was a promising start, and was backed with the equally strong So love me, featuring fine trombone work from British jazzer Don Lusher. In 1966, the effervescent I know know know... and Geoff Stephens' gem The town I live in were unfairly added to a growing list of chart misses. The final EMI single, Just like a man, is now the most sought after, and was actually issued under the name Emma Rede in an attempt to relaunch Jackie's career with a fresh identity. The single sold sufficiently to make the NME Top 30, but narrowly failed to breach the British national chart. However, it is the B-side which arouses most interest nowadays - a delicious, emotive ballad entitled I gotta be with you which draws particular attention from British soul collectors. Jackie, or Jacky. Or is it Emma? 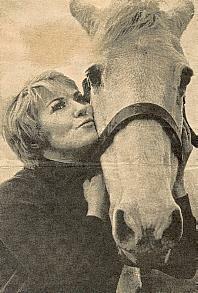 In 1967 Jackie recorded the excellent, strident Born to lose with Johnny Keating for the movie 'Robbery!'. The song was issued as a single by Decca in September of that year, backed with the moving Saying goodbye. Strangely, Jackie's vocal take of Born to lose barely features in the movie - it is heard coming from a radio for a few seconds before being switched off. And even this scene is cut from some DVD issues of the film. Around this time a Raindrops single appeared on CBS. 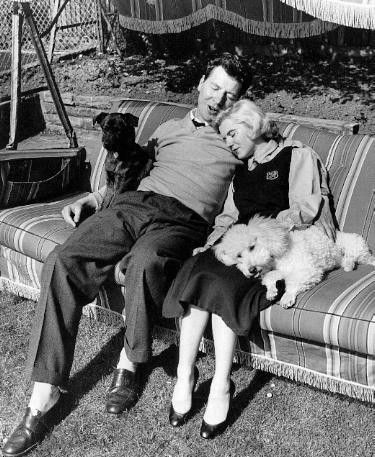 This had nothing to do with Jackie, and little to do with Len. Raindrops '67 featured Brian Adams with Lynn Cornell and Don Archell. The two John Bromley-composed sides are routine 60s pop. Former Vernons Girl Lynn Cornell was Jackie's replacement in the group but was simply no match for the role Jackie had established. After a short period playing London clubs, the group folded. 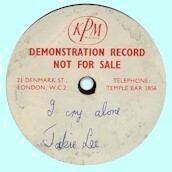 In addition to a series of superb solo singles for various labels, Jackie led in-demand session groups - the Tears of Joy trio and the Jackie Lee Singers, with a floating line-up consisting variously of Barbara Kay, Kay Garner, Joan Baxter (Jackie's replacement in the Squadronaires), Sue & Sunny and Elton John, among others. They recorded with Roland Shaw & His Orchestra, Jimi Hendrix (backing vocals on Hey Joe!) and featured on two British chart-toppers - Tom Jones' Green green grass of home, and Englebert Humperdinck's Release me, as well as frequently working at EMI's Abbey Road studios. Late in 1967, Jackie recorded two tracks with Cliff Richard for his 'Cinderella' album - a solo track and a duet. The voice of Jackie Lee was also heard in many cinema and TV commercials including an award-winning campaign for Fablon (1967) with John Barry. Sadly, despite this level of constant employment, Jackie's public profile remained very low. Her marriage to Len Beadle also fell apart, and she had still not achieved a hit single in over ten years of professional singing. But there was a light on the horizon, and it would establish Jackie's name. Or that was the plan, anyway. Having signed with the new management team of Tony Palmer (former EMI staffer) and Adrian Rudge (Page One plugger), Jackie's first hit was to come from an unlikely source. A theme tune was needed for the English transmission of a Yugoslavian children's TV series which the BBC was planning to transmit through the spring and summer of 1968 (and, as it turned out, for many school summer holidays beyond). Jackie was presented with the theme song for 'White horses' by Michael Carr and Ben Nisbet. The song was privately recorded early in 1968 and Philips took up the single which, assisted by regular tea-time broadcasts on BBC television, shot into the British Top 10. As Jackie's first hit, this should have been the start of something big. 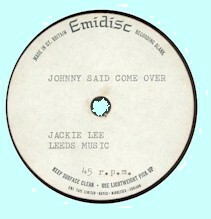 However, although the ethereal vocal on White horses is unmistakably Jackie Lee, the record was issued under the name Jacky. The new identity appears to have been chosen as a further unsuccessful attempt to jumpstart her career. Ironically, Jackie was also a little reluctant to associate herself with a children's TV theme. However, she was still seen very much as a session singer for others to the detriment of her own talents. 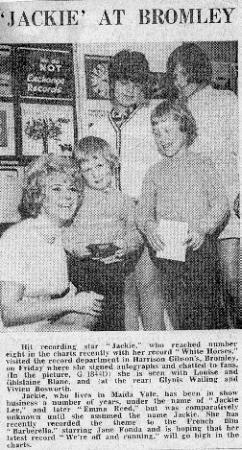 Press coverage was limited to material along the lines of 'Who's the mysterious bird called Jacky?' 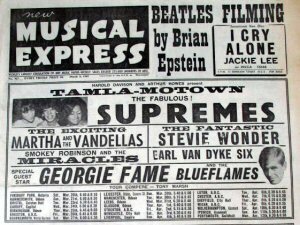 (Melody Maker, April '68). However, Jackie did reap some short-term benefit from the huge sales of the single, which remained in the UK chart for four months, as Philips followed another summery single, We're off and running with a long-player. The album is of special interest as it features three songs Jackie co-wrote with her friend, the under-rated composer, arranger and singer, Barbara Moore. These jazz-inflected songs are highlights of Jackie's first long-player, with Things I don't mean containing very fine piano work by an uncredited Dudley Moore. Also worth hearing is the Lee-Moore composition Out of sight, out of mind which deserved wider exposure. Sadly, the composer of White horses, Michael Carr, who had a successful song-writing career stretching back to the Crazy Gang shows of the 1940s, died shortly after the album was released. The 'White Horses' LP sleeve notes refer to Jackie recording for Roger Vadim's 'Barbarella'. Unfortunately, the hand of fate struck as the music in the movie and on the rare soundtrack album does not feature Jackie at all (a fact disregarded by American record dealers who offer the 'White Horses' LP for up to $250 because of the 'Barbarella' association). 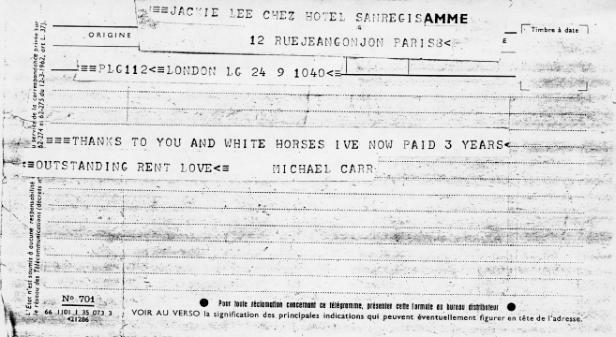 Jackie did actually travel to Paris with her pianist Johnnie Spence (Matt Monro's arranger) at the end of April 1968 to work on music for the film, recording the title song and Love spread your wings, but unfortunately Monsieur Vadim fell out with Michel Magne, the original arranger, leaving Jackie's work in the can. A series of personal disasters befell the renowned French composer, and the original masters are believed to have been destroyed by fire. The majority of 1968 was a busy time for Jackie, even by her standards, with studio days sandwiching public appearances. In the last week of May, she joined The Move, The Marmalade, Alan Price Set and the Flower Pot Men on Radio One's Jimmy Young Show. Jackie performed in cabaret with the Gordon Beck Trio (with Tony Oxley and Jeff Clyne) throughout the north of England, spending a week in August at Club Tito's in Stockton-on-Tees, followed by further dates at Middlesbrough's Club Contessa, Blackburn's Cavendish Club and similar venues. 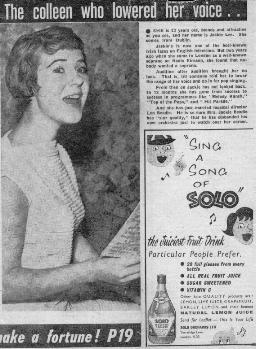 She was a popular club performer and a contemporary review in the Lancashire Evening Telegraph notes that, along with a performance of her hit, she won the audience over with 'excellent versions' of Can't take my eyes off you, Rock-a-bye baby and Who can I turn to. Jackie's next soundtrack work was to be more successful artistically, if not commercially. In early 1969 she worked with the respected arranger John 'Johnny' Scott and his young protégé Christopher 'Chris' Gunning, fresh from music college, on material to accompany a movie entitled Loving Feeling. The main theme was originally recorded with Alma Warren (Lita Rosa's sister), but she struggled with the complexity of the vocal line. Jackie was called in to rescue the situation and the outcome was a stunning single issued by Larry Page's Page One label. On the A-side, Love is now, Jackie's simmering first-take vocal rides the extravagant orchestral arrangement, while the flipside features the stiring Lee-Moore ballad Never will I be. By any standards this is an outstanding single and deserves to be more widely known. 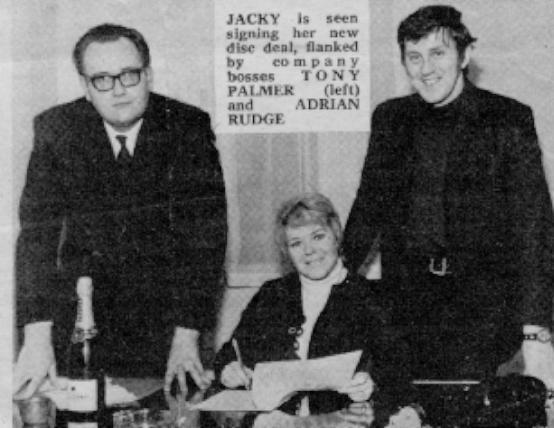 Despite the world not being ready for Love is now, Jackie's management team secured a recording contract with Pye records which would see a return to the name Jackie Lee. She had also fallen for Christopher Gunning, and left her Maida Vale home for leafy Ruislip. The two would work together on several future recordings. 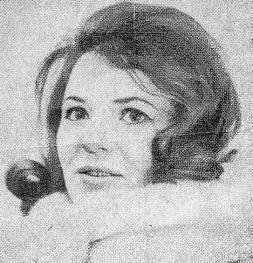 Pye would keep Jackie gainfully employed for the remainder of her career, and would provide her only other chart appearance. Her Pye debut was an uptempo Alan Moorhouse gem, Love is a gamble, and was followed by Everybody needs a little loving, which originally featured in a TV commercial for Campbell's Soups. 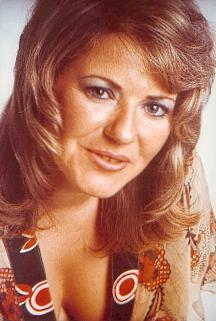 Jackie's professional reputation provided her with endless studio work for which she was able to call on an extensive list of fellow sessioneers including Elton John, Clare Torry and Lisa Strike. Her commercial work continued with campaigns for BOAC and Lilt ("typically tropical taste...") among others. 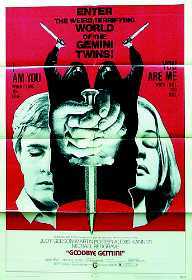 In 1970, Jackie worked with Christopher Gunning on another movie soundtrack - the rather odd 'Goodbye Gemini' (shown in the US as 'Twinsanity'). Following numerous fine recordings, Jackie's return to the charts would be with another children's TV theme. Rupert was made with Welbeck/ATV Music staff writer Ron Roker & Len Beadle for ATV's animated series The Adventures of Rupert the Bear and, like White horses, spent several weeks in the British Top 10. Peter Callendar, who had previously co-written many songs for Jackie under the name Bob Conrad, was also involved. 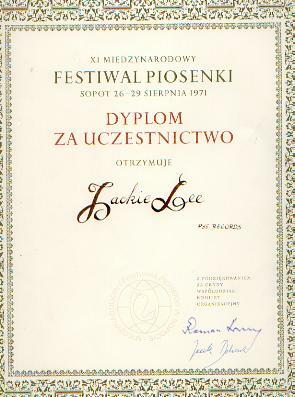 Jackie recorded One more mountain to climb with Christopher Gunning which Pye selected as their entry into the Polish International Song Festival, held in Sopot in September 1971. The song was runner up to an entry by the USSR. Jackie stayed at the one hotel in town while Len Beadle, who accompanied her in his professional capacity, roomed with a local family. Luxuries were scarce in Eastern Europe at this time, and the hotel bar had only a limited range of drinks, so Jackie managed to liberate some crates of soda water and cola mixer from the British Embassy. She seemed more disappointed by the theft of her gold cigarette lighter at the hotel than failing to win the contest. 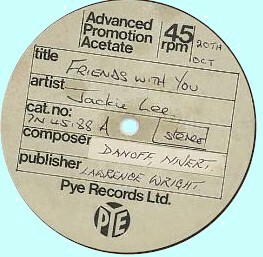 Towards the end of the year, Pye released an album, Jackie's Junior Choice, to capitalise on the success of Rupert. Although perhaps suffering from having a target audience of 'juniors', the album did include some attractive performances from Jackie, in particular Here we go round again and Neil Sedaka's I'm a song. Jackie returned to the studio with Christopher Gunning in 1972 to record a concept album entitled 'Calendar' based around the twelve months of the year. The recording was made for CBS who unfortunately declined to release the completed work, leaving another of Jackie's more intriguing works on the shelf. Jackie also sang on some of Christopher Gunning's other work, including an interpretation of his very famous Martini ('The right one') commercial. She also worked again with John Scott on the orchestral ballad Sleep, which was used for a Savlon commercial. Strangely the song cropped up eleven years later in a TV movie made for Britain's Channel Four. 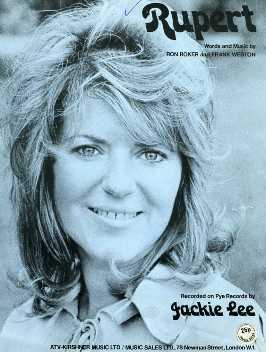 Having achieved little success with her mature material, Jackie recorded two further children songs - Inigo Pipkin (another ATV animated series) and Peter Pan. The latter is worth seeking out as the B-side contains the gorgeous What will I do?. A consequence of Jackie's workload during this period is that she suffered problems with her vocal cords which required medical attention. The tone of her voice altered considerably, and the discomfort would ultimately bring about her unanticipated early retirement. Ironically, her final two singles stand proudly among her finest recorded work. Hidden on the other side of Friends with you is the marvellous Black country, an allegorical sketch of disappointment and shattered dreams written by Jackie with Barbara Moore. In 1973, this was followed by the excellent You make my head spin, backed with Jed Meeham's Hallelujah lamb, on which Jackie's fatigued voice draws out the spiritual nature of the song. As a final recording, it makes a remarkably poignant swansong. Her musical career never having reached the heights it deserved, and now suffering from exhausted vocal cords, Jackie sadly bade farewell to the music industry in 1973. She later moved to the United States, and subsequently Canada, where she now lives, happily married, far away from the world of entertainment. Throughout her career, Jackie was fortunate to work with some very fine arrangers, musicians and composers. But she still seemed to be under-valued and was not really given the opportunities she deserved. 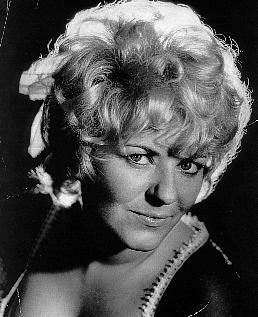 While other professionals of a similar calibre might spend several days retaking their part in search of some ephemeral element, Jackie generally laid down her vocal on the initial take, thereby capturing a distinctive honesty and emotional vulnerability absent from the recordings of many of her contemporaries. Jackie was not given the opportunity to record an album of her own choice of material. As a jazz-lover and fan of Ella Fitzgerald, Jackie had more scope than she was given credit for. It would have been a delight to hear her breeze through Fly me to the moon, and the few recorded songs which Jackie co-wrote hint at a frustrated talent. A singer of tremendous character, Jackie's true vocal qualities can be found on over eighty songs she recorded in her twenty year career. Listen to I gotta be with you or Love is now and hear a star at her peak. And White horses and Rupert are still regularly played classics. Indeed, in 2003 White horses emerged as the greatest theme tune in television history according to The Penguin Television Companion, and Rupert appears at number seven in the same list.